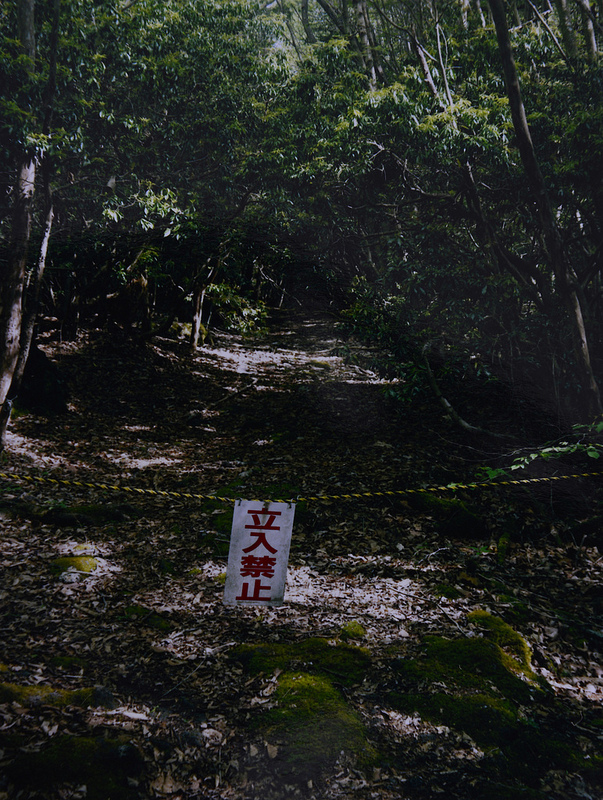 The Aokigahara is considered to be haunted by demons in Japanese mythology. And given its history, it is not wonder why. 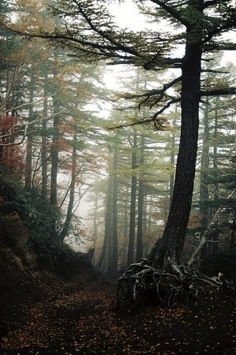 Although the forest itself is not very big (around 35 square kilometers or 14 square miles), because of its high density of trees and dark areas (the sun doesn’t penetrate deeply inside the forest), many people get lost here. 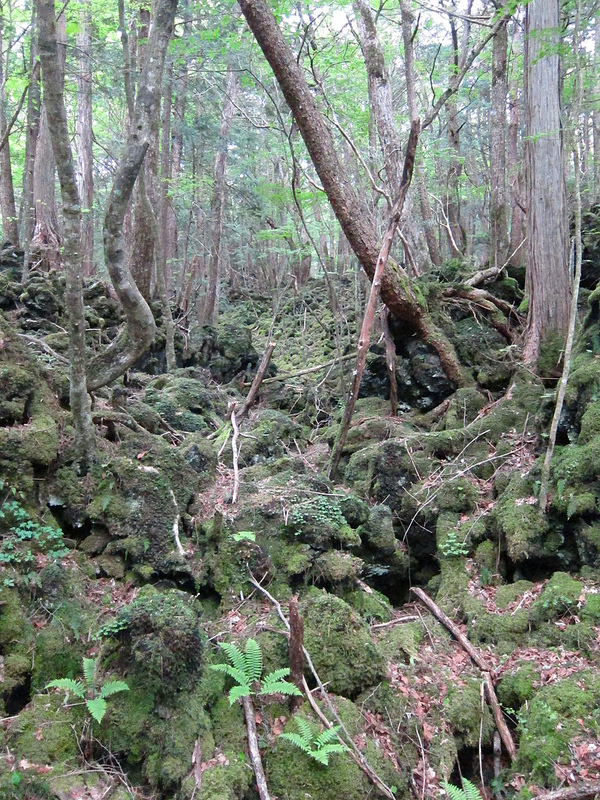 Legend says that those who are engaged in this sea forest never return. But there is some truth in that, as even in these days, many hikers lose their way. 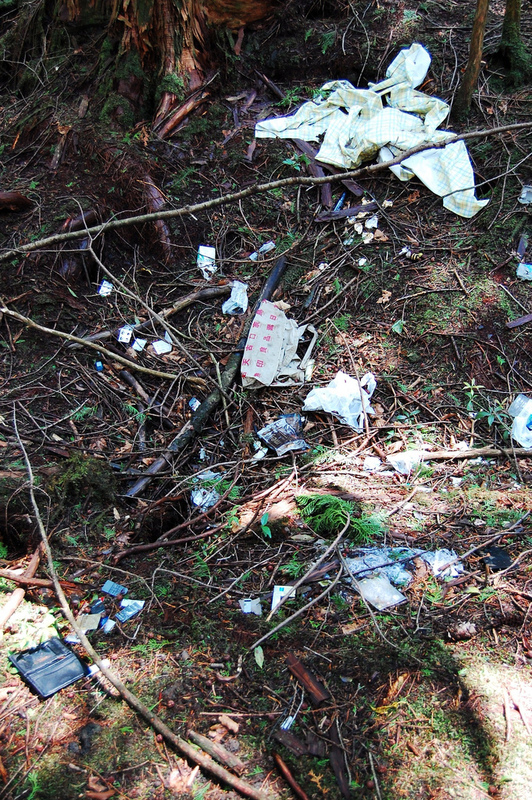 Actually the problem of getting lost in the forest is so big, that hikers carry plastic tapes to mark their paths and to be able to return. Because the landscape is so similar, the brain is distorted and it is difficult to keep direction at any time. In the Japanese popular belief, if a person dies in a deep sense of hatred, anger, sadness, or desire for revenge, their soul can’t leave this world and continues to wander, appearing to people affected by the spell or those who cross his path . These souls are called yurei and they can are found in many modern cultural references such as movies as well. Unlike western horror movies, where the ghost wants something specific in order to be able to rest in peace, the yurei wants nothing in particular; they just want to have their curse removed or conflicts resolved. According to some Japanese spiritualists, the trees themselves soaked in themselves a malevolent energy accumulated over centuries. When the forest guardians find a dead body, they will take it to a special room designed for dead bodies that can be found next to the forest. Here, the body will be placed on a bed. What is more interesting though, is that a guard will sleep in the same room with the body. This may seem surprising, but it is said that if the corpse is left alone in the room, its yurei will move all night in the dormitories screaming and being deranged. The guards will play rock-paper-scissors (janken in Japanese) to decide who will be the unlucky one to sleep during the night next to the body. This just shows how much they believe in and how they are afraid of fallen souls - they prefer to sleep near the body, rather than taking the risk to disturb a yurei.